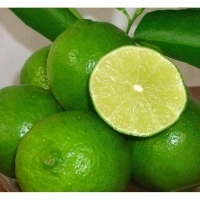 Fresh Vietnamese Lime, Lemon by Genpack Co., Ltd.. Supplier from Viet Nam. Product Id 656384. Services: Export & Import, International Trade. Supplier: Agriculture and allied products -, spices - cumin seeds, coriander seeds, fenugreek seeds, fennel seeds, black pepper, celery seeds, sesame seeds, red dry chilly, turmeric, cardamom, clove., fresh vegetables - onion, potato, garlic, ginger, lemon, green chilly., fresh fruits - banana, apple, orange, grapes., grain and pulses - basmati rice, non basmati rice, pulses., dry fruits - cashew nuts, pistachio, raisins, almonds, walnuts, gorgon nuts, fox nuts, makhana. Search More Like "Fresh Vietnamese Lime, Lemon"